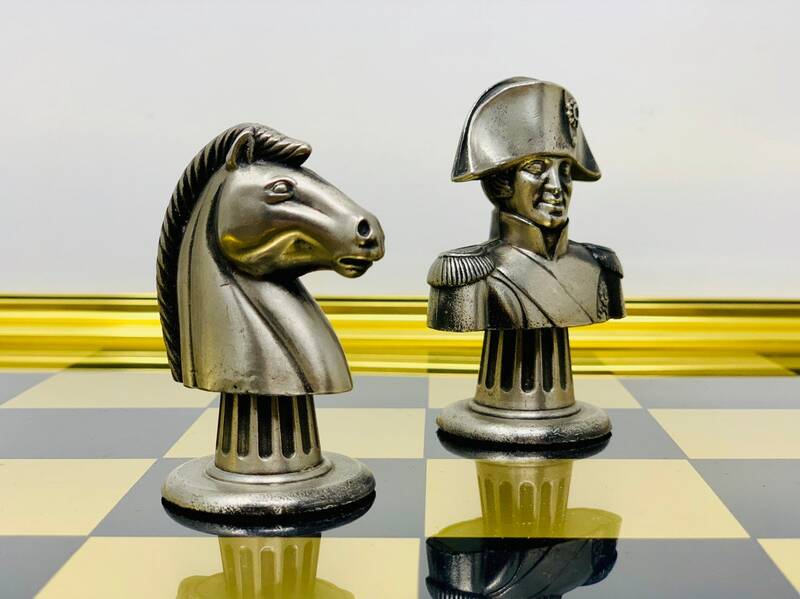 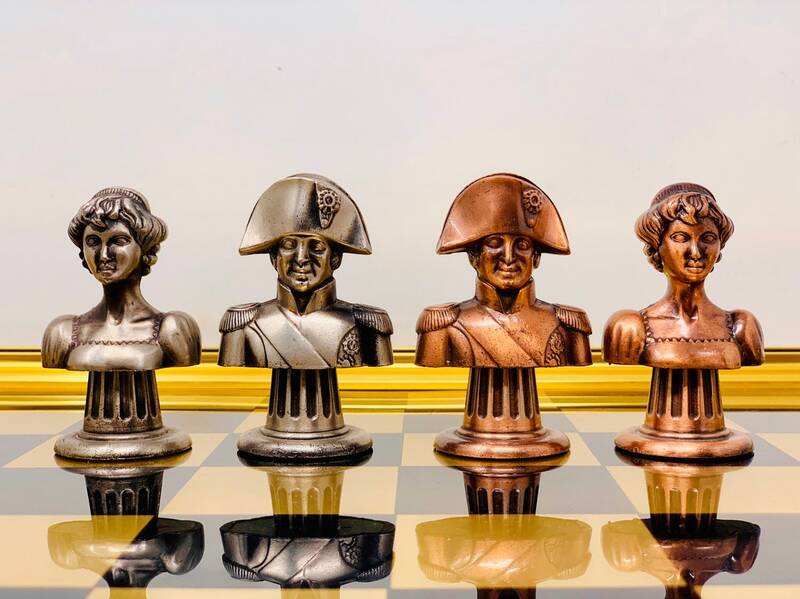 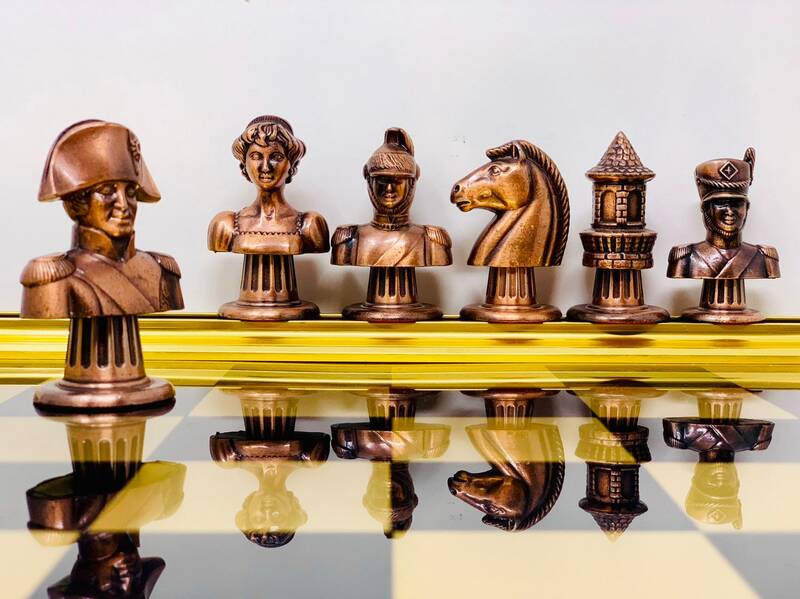 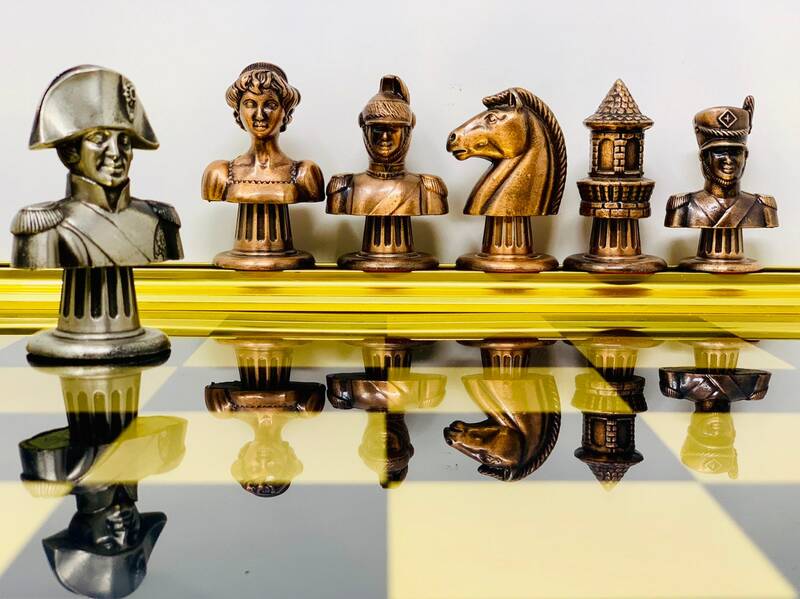 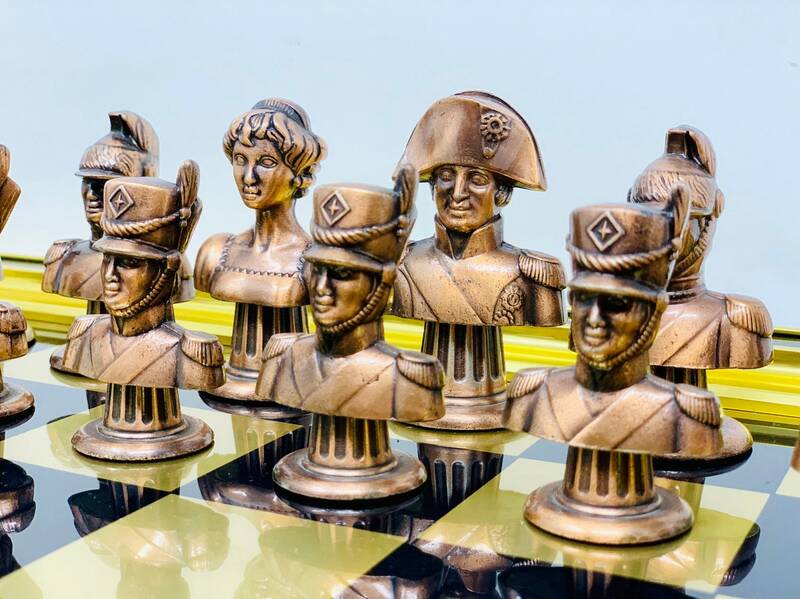 Chess Napoleon made in Italy in the famous house of chess Italian Napoleon. 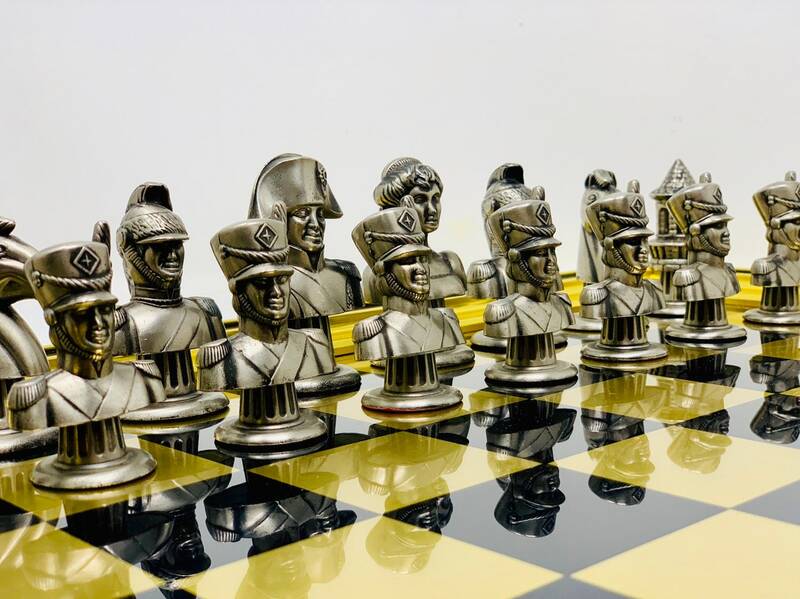 One of the most spectacular models in the catalogue. 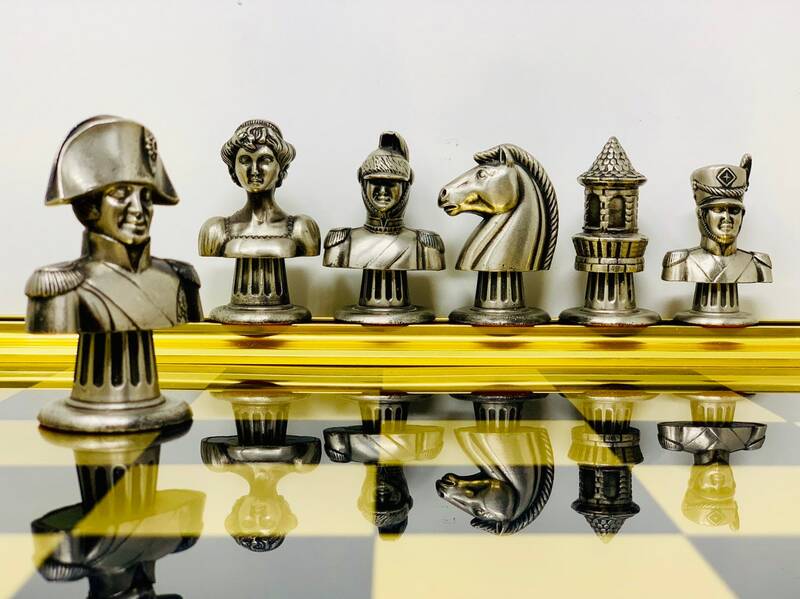 Chess highly coveted by experts and collectors. 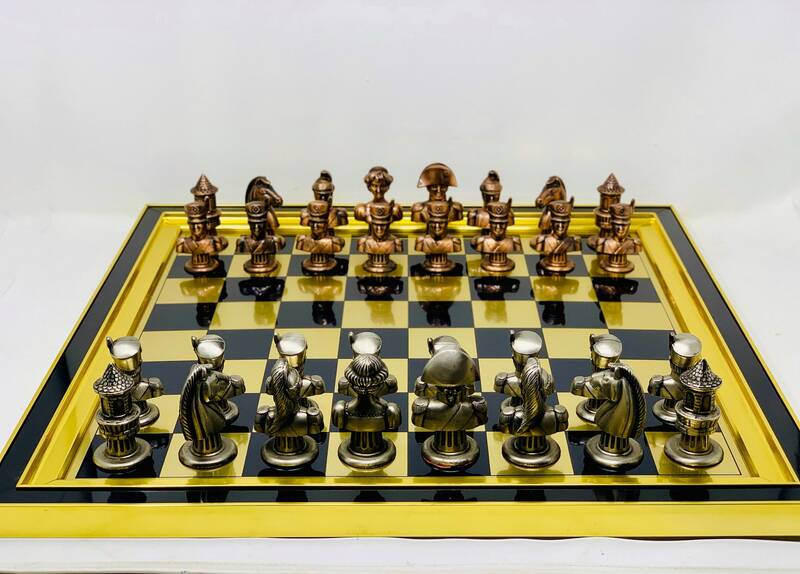 The decorated pieces have a base with felt interior for the best protection of the pieces. 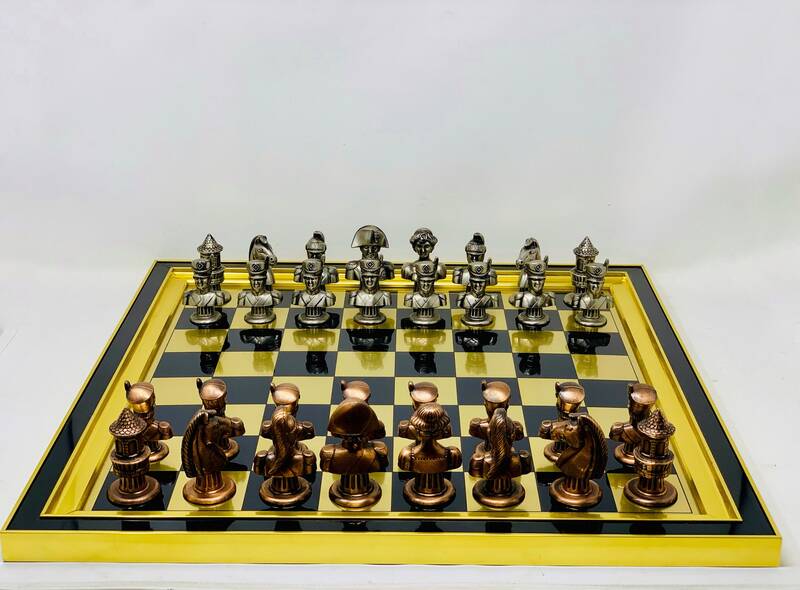 A beautiful chess to decorate and very functional because of its good size, the king measures 9cm approximately. 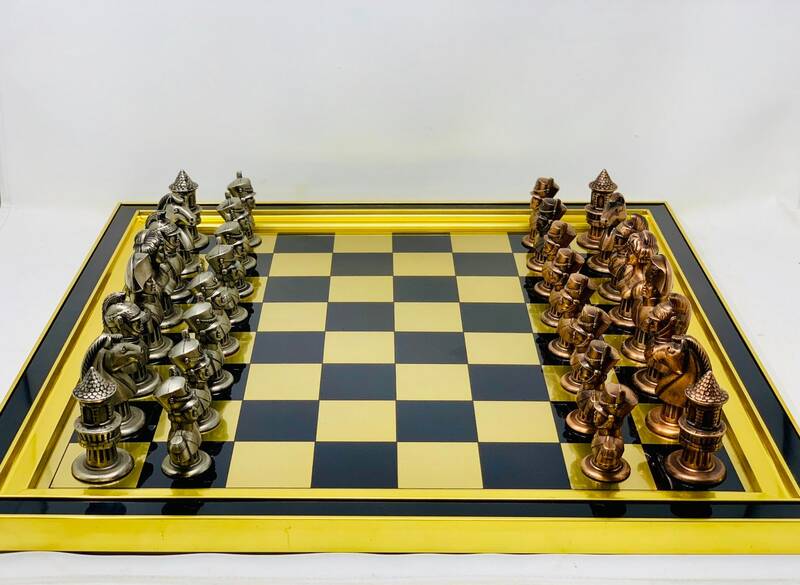 It does not include the exhibition board.